The lock fits on every notebook with a security connection. 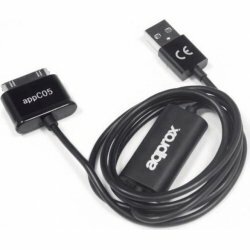 Just secure the 1.5 meters cable to a firm object and connect it to the notebook. Including 2 keys. 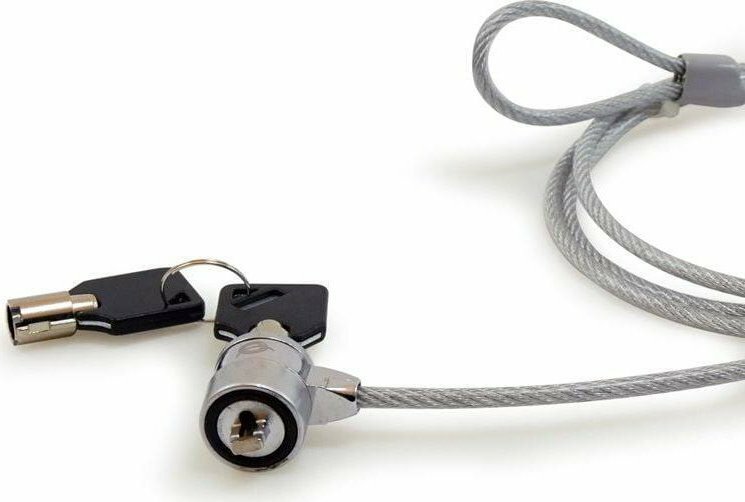 The Notebook Security Lock secures notebooks against theft*. 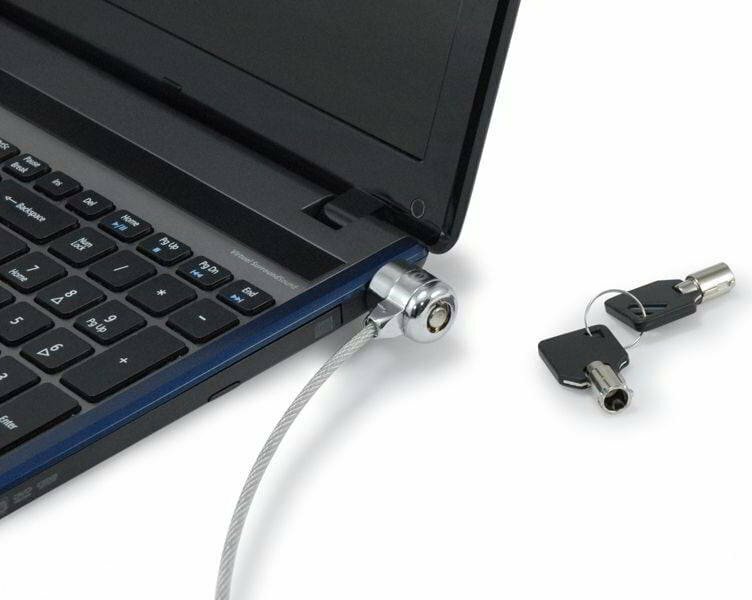 The lock fits on every notebook with a security connection. 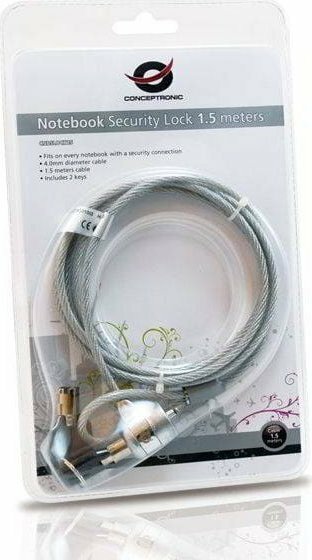 Just secure the 1.5 meters cable to a firm object (for example a table) and connect it to the notebook. 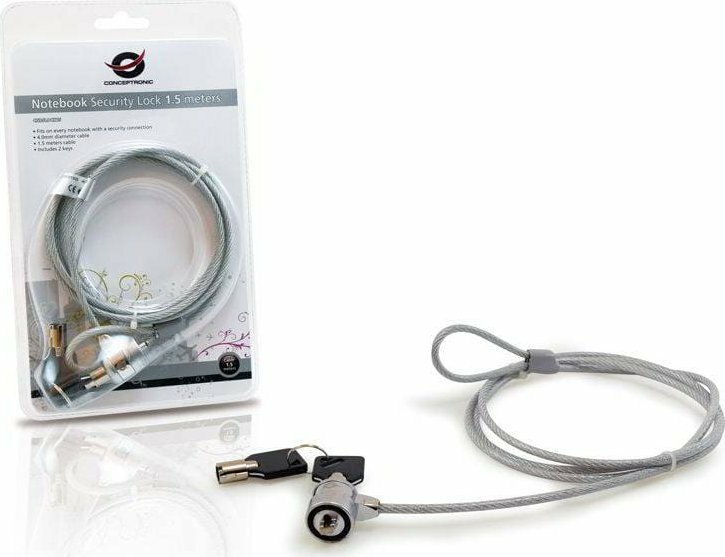 Including 2 keys.\n \n* This product works theft-delaying, it does not prevent theft. Conceptronic can not be held responsible in case of theft or damage. 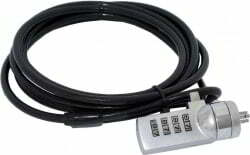 The type of lock on the device.